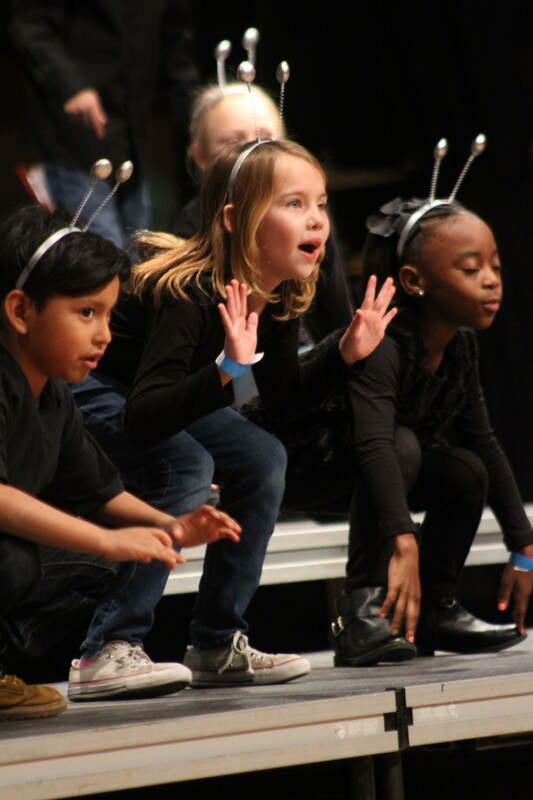 On January 20, 2018 G. O. Bailey Primary 2nd grade students participated in the 4th annual Sweets and Songs concert event. It was held at the Performing Arts Center of Tift County High School. Students from G. O. Bailey performed songs from the musical "Journey Into Outer Space." They were under the direction of the music teacher Brian Marchant. Pictured from left to right are Anthony Villafranca, Lindsey Snipes, and Vy Hurley.